Although procedures may vary between counties, here are some guidelines that may assist you in locating cancer care. If you have been diagnosed with breast or cervical cancer and don't have health insurance that will pay for your treatment, you may be eligible to receive full Medicaid benefits by applying for Medicaid for Breast and Cervical Cancer. Contact a Breast and Cervical Cancer Services clinic to see if you qualify for this Medicaid program. For more information, visit https://www.healthytexaswomen.org/bccs-program or call 2-1-1. Financial Counseling Office: (409) 772-6464.
to search for a hospital in your area that does cancer screening, diagnosis, treatment or continuing care. You may be able to find local facilities in or around your county that may possibly be able to screen or treat a low-income or uninsured cancer patient. If you are looking for help or information on services or programs in your area, please dial 2-1-1 or click on the link https://www.211texas.org/ and type in cancer detection in the enter search term box and the zip code where you live in the enter zip code box. For more information, you may also call the National Cancer Institute’s Cancer Information Service (CIS) at 1-800-4-CANCER (1-800-422-6237). Visit the Texas Cancer Information Web site for lists of doctors, hospitals, breast, colon and skin cancer screening services and hospices. 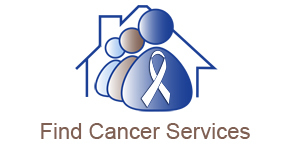 You can find support, counseling, education and other help such as transportation, housing and medical equipment by clicking on Find Cancer Services at the top of the page. Return to Access to Cancer Care by Texas County - Where can I get care?